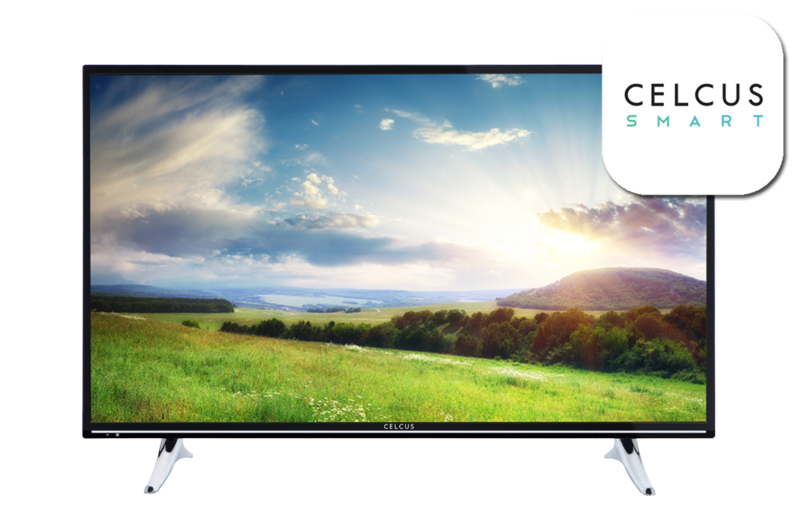 Designed for your home and your own unique viewing requirements, Celcus LED TVs bring you more choice - more entertainment - offering a great value TV experience in a wider range of styles and screen sizes. 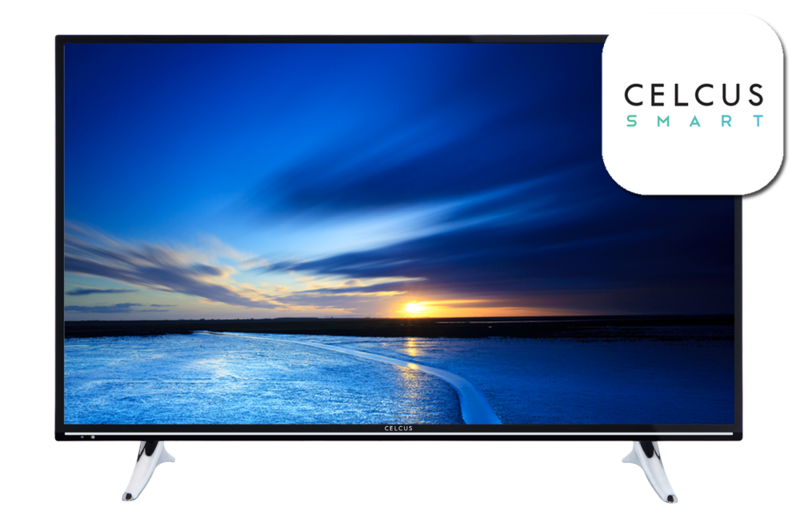 Whether you’re looking for a compact TV for your bedroom or kitchen, or a bigger screen for the family room, you can find your perfect TV match from our extensive 22”-49” TV range. 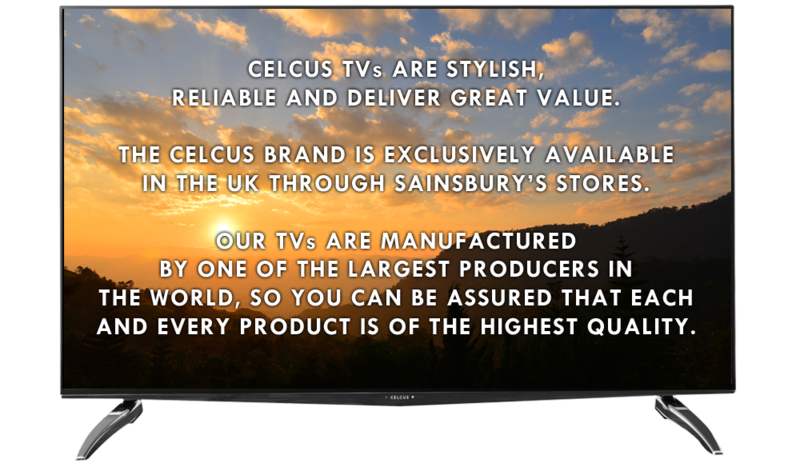 The Celcus brand is exclusively available in the UK through Sainsbury's stores and thousands of Sainsbury's customers are currently enjoying our products. All of our TVs are manufactured by one of the largest TV producers in the World, so you can be assured that each and every product is of the highest quality. 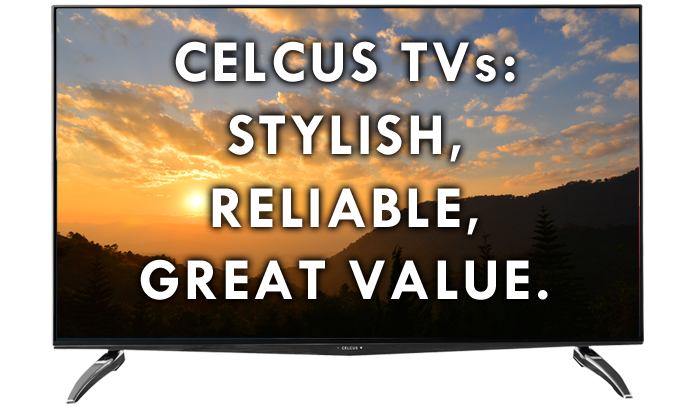 The latest Celcus LED TVs give deeper blacks, more vibrant colours and are more energy efficient than older technology. Smart TVs give you access to video-on-demand services as well as keeping you web connected - don't miss a thing! 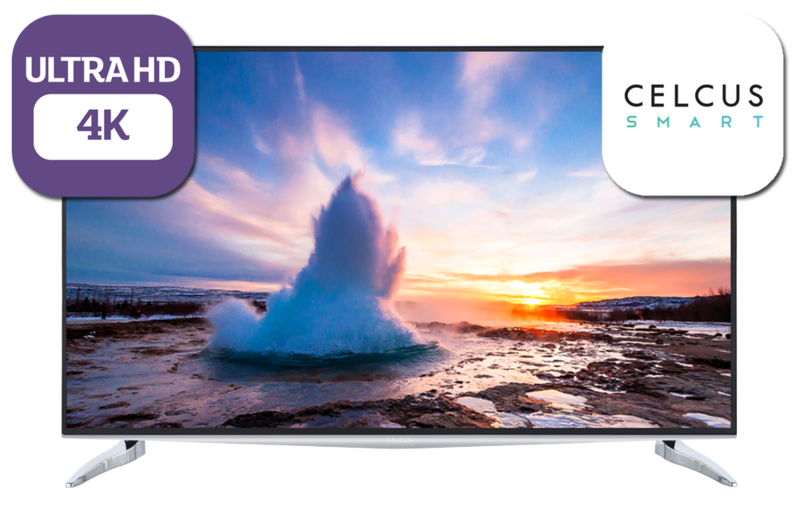 Offering four times the resolution of standard TVs, 4k UHD models add more detail, more depth and more colour resolution.